How many houses get robbed a year? Will your home be the low-hanging fruit for the burglars? Learning the home burglary statistics of 2018 will help you understand what crime reports truly mean to you as a homeowner or a renter, and also offer you inspirations to improve your home security. Be prepared. The burglary statistics below may shock you. 77% of all crimes are property crimes. Identity theft is the fastest growing crime in the U.S., Canada, and UK. 3 out of 4 homes in the U.S. will be broken into within the next 20 years. Renters are more vulnerable to property crime than homeowners. 2,500+ cars are stolen per day — almost 2 cars a minute (also learn Car Theft Prevention Tips). Crime reports happen every day. According to the FBI, a home burglary occurs every 13 seconds in the U.S. By the time you finish reading this post, about 9 homes will have been burglarized somewhere. Now let’s check out the shocking home burglary statistics 2018 to get better prepared for a worry-free home. #1. What Are the Most Common Points of Entry into a Burglarized Home? #2. What Are the Most Commonly Stolen Items and Values for Thieves? Thieves will take every chance to take anything that may be of value. Usually they look for small, expensive items that can easily be converted to cash and will not hinder their getaway. #3. What Time of the Day Do Most Burglaries Occur? According to FBI, 65% of home burglaries happen between 6am to 6pm while you are at work or at school. The most common hours for a burglary are between 10am – 3pm. Throughout a year, July and August are the months with the most home break-ins and burglaries while February is the nadir. Yes. House burglary facts show that 51% of homes suffered from a repeat burglary within one month of the initial offense. And even the burglars don’t return to the same house, chances are good that they target at another house in the same neighborhood. That is to say, if you neighbor’s house is broken into by a burglar, it is high time you should adopt some effective tips to secure your home. #5. What Percentage of Burglars Are Armed? The stereotypical image of a burglar who carries a gun in mask might not be true. According to the State of USA, an average of 7% home burglaries used violence each year. And of those violent burglaries, only 12% of the burglars had a firearm. #6. 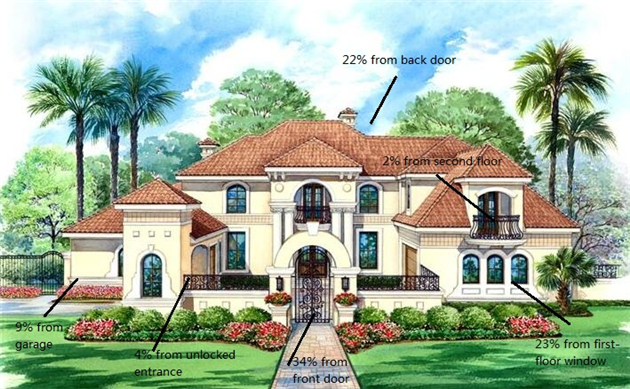 What’s the Typical Profile of a Burglar? Home invasion statistics show that most penetrators and burglars are the male under the age of 25, who live pretty close to the victims and may even be the acquaintance of burglary targets. #7. How Long Do Burglars Take to Break into a Home? The time required for thieves or robbers to break into a home can be far less than you think. Most criminals can burglarize a home in about 8-10 minutes. #8. Where Are the Common Places Burglars Search After Break-ins? Burglars would go to the master bedroom first and search drawers, closets and the mattress or valuables such as cash, jewelry, etc. More and more home owners tend to install a security system in their homes, but some are still not making the most use of the system. 95% of home security owners are satisfied with their security systems. Only 27% of home owners with security systems in U.S. arm their alarms only when they go to bed. Over the next five years residential automation and smart systems will increase by 64% Insurance agencies can offer discounts up to 20% for auto insurance when a home security system is installed. Here is the list of the top 5 influencing factors when most people buy a home security system. Arming yourself with the above home burglary statistics and facts will definitely help protect your home and family. Never be a victim. Below are more workable tips to make your home a less target for criminals. Always lock doors and windows when no one is home. 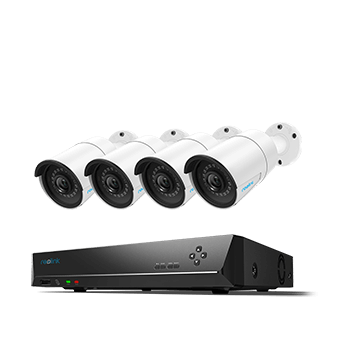 Buy high quality security cameras to install outside and inside your home. Put up security signs in obvious places telling that your home is under 24/7 protected. Consider an alarm system to install in your home. Be a good neighbor and agree to watch each other’s home. This entry was posted in Home Security FAQs and tagged burglary facts, home security, smart home, Statistics.